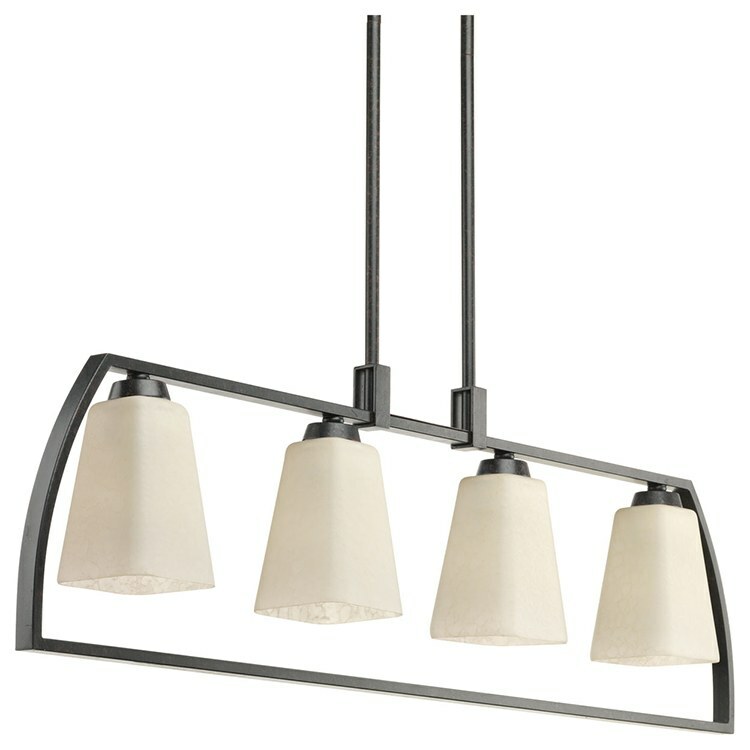 A classically designed fixture family for urban chic environments, the Ridge collection features a clean, yet rustic, modern frame. 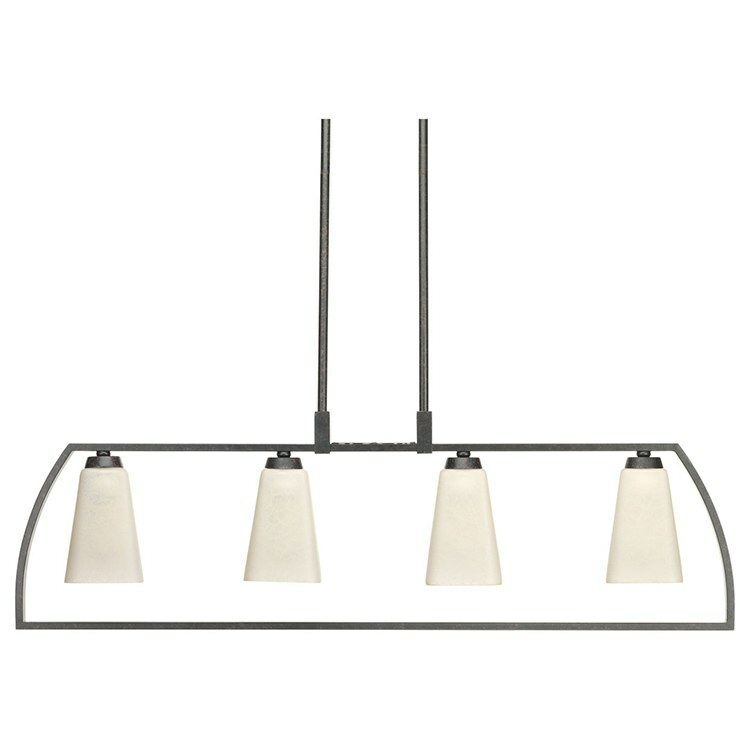 The open design of this four-light linear chandelier encases a quartet of etched antique watermarked glass shades with a tapered square form in a deep Espresso finish. 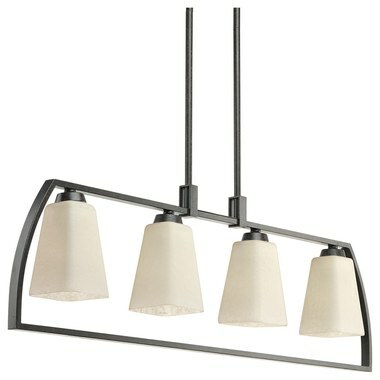 Ideal for hanging over dining room tables, kitchen islands, and bars. The canopy covers a standard 4" hexagonal recessed outlet box. The fixture includes a mounting strap for the outlet box, two pieces of six links of 9-gauge hanging chain, two 6" long stems, and eight 12" long stems.